In 2014, at an Annual Technical Meeting between BP and the Ministry of Energy, I said that the most important economic relationship in T&T was the relationship between BP and the Government of T&T. Today, T&T accounts for 17% of BP’s global production volumes while BP is one of the largest contributors to Government’s revenue. There is a symbiotic relationship between BP and T&T that must be carefully managed by whoever runs the country. One will therefore appreciate that statements like “take your platform and go” are damaging and represent a confluence of gross ignorance and vaulting arrogance. In 2011, when I became Minister of Energy it was evident that the upstream side of the natural gas sector had stalled. The level of drilling and exploration offshore was insufficient to give us new natural gas production. To fix that problem we listened to the industry and then we listened some more. We also analysed our fiscal regime and how it compared with other jurisdictions. We were uncompetitive and this was why investment levels from companies like BP had collapsed. 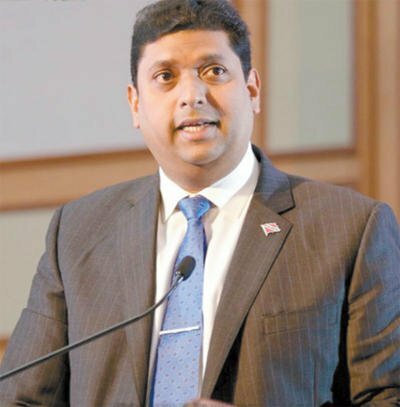 Recently in Parliament, Franklin Khan said, “… somewhere around 2009—2010 we dropped the ball, because upstream investment did not match the rate of production.” Minister Khan is partially correct. The ball was dropped as far back as 2006. From 2011 to 2014, we introduced changes to the fiscal regime that made the sector more competitive. It worked and the upstream companies started to invest again. I also said that there would be no increase in taxation on the oil and gas industry. This statement was categoric and unambiguous. In fact, we did the opposite, we reduced levels of taxation and introduced accelerated capital allowances that allowed companies to recover their investments faster. The latter was heavily criticized by members of the current Government at a meeting of the Joint Select Committee on Energy in March 2016. Perhaps they had not yet understood what was done given that they were only 6 months into office. The issue that bothered them the most was the introduction in 2014 of a 100% capital allowance for exploration related investment. For the record, companies in T&T have always had the ability to recover 100% of their exploration related investment. What we changed was the speed with which they recovered that 100%. This impacted positively on the economics of investments and was the stimulus for companies like BP to invest in exploration. The result of that stimulus was the drilling of two exploration wells in early 2017 (Savannah and Macadamia). My understanding is that we can expect good news on the outcome of these two wells. Work on Macadamia started as far back as 2013 while work on Savannah started as far back as 2011. We must understand that what we will see as success today has been in the oven for many years. The combination of fiscal incentives and technology is what unlocked these new discoveries. I will give the current administration credit for completing negotiations for the new BP-NGC contract (albeit at a slow pace). As for Juniper, I’ve said enough about that in past columns. With all this in mind, it was disappointing to hear that I did nothing to deal with the natural gas shortage. The industry knows the truth, especially the upstream companies. I can present my record of what I did to change the trajectory of the industry for the better. Had we not intervened in the way we did to change the investment climate; T&T would be facing an economic apocalypse in 2017. Today the PNM Government can talk about TROC, Sercan, Angostura Phase III, Angelin, Juniper and deepwater exploration. These projects would have not seen the light of day if I had done nothing as has been suggested. In 2017, the country will reap the fruits of what was planted from 2011 to 2015. Government is a continuum not disconnected blocks and I expect that the current Government would have taken the baton and continued the race. There are concerns however about the speed of decision making. In the national interest, the question that I would pose to the current Government is – what are you doing to ensure the sustainability of the sector in the future? One can only hope the ball isn’t dropped again. History and life is a revolving door that always turns. Sometimes it slows down and other times it speeds up but it always turns.